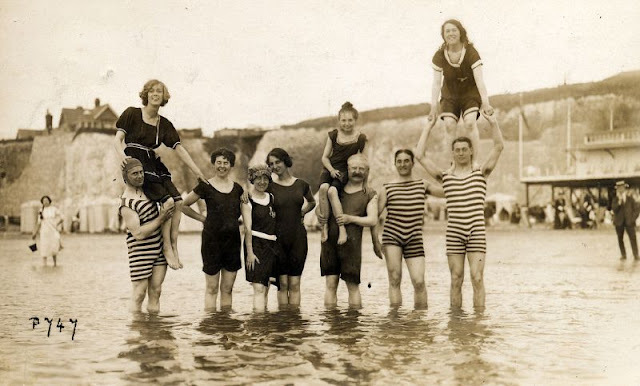 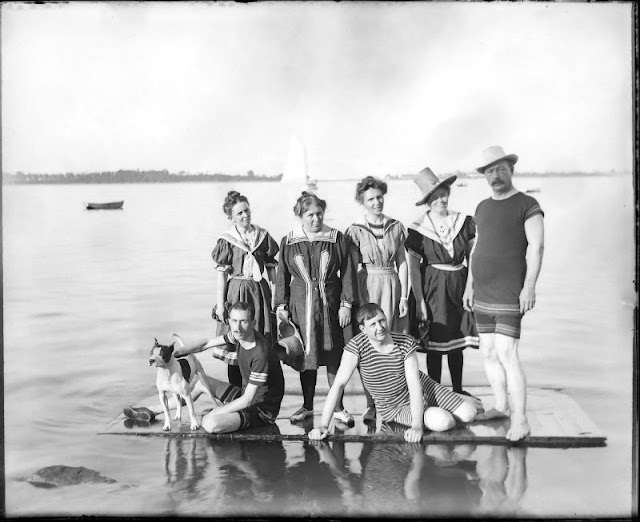 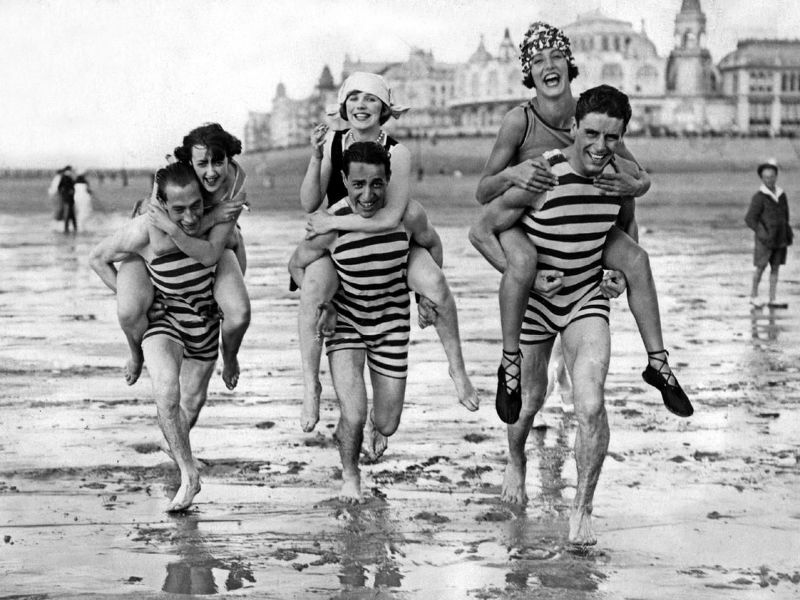 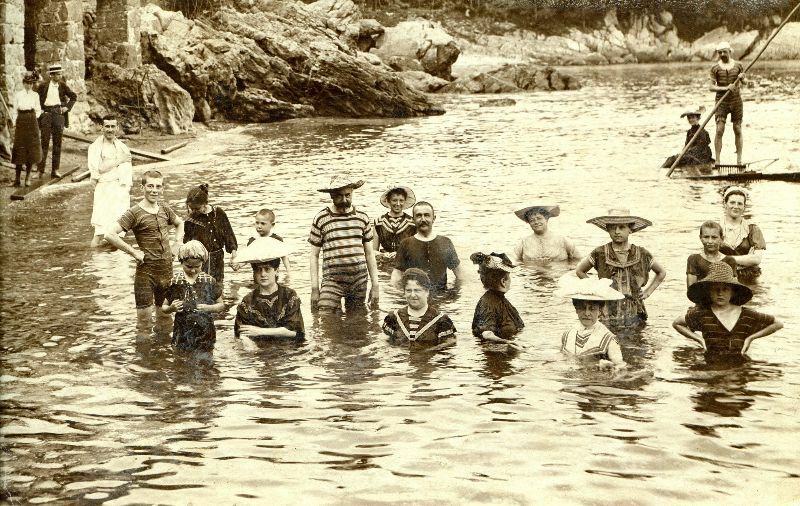 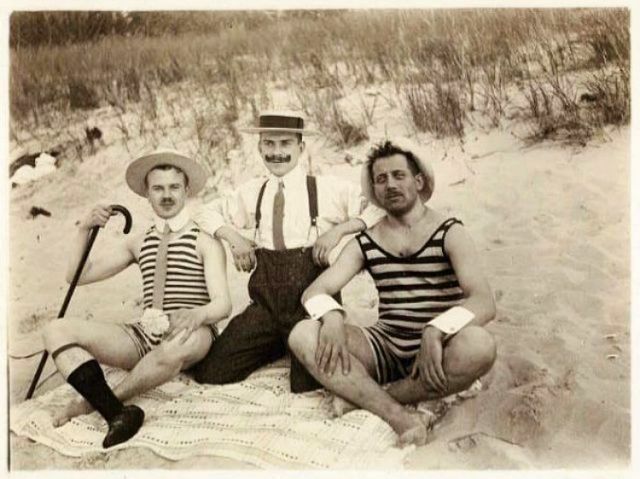 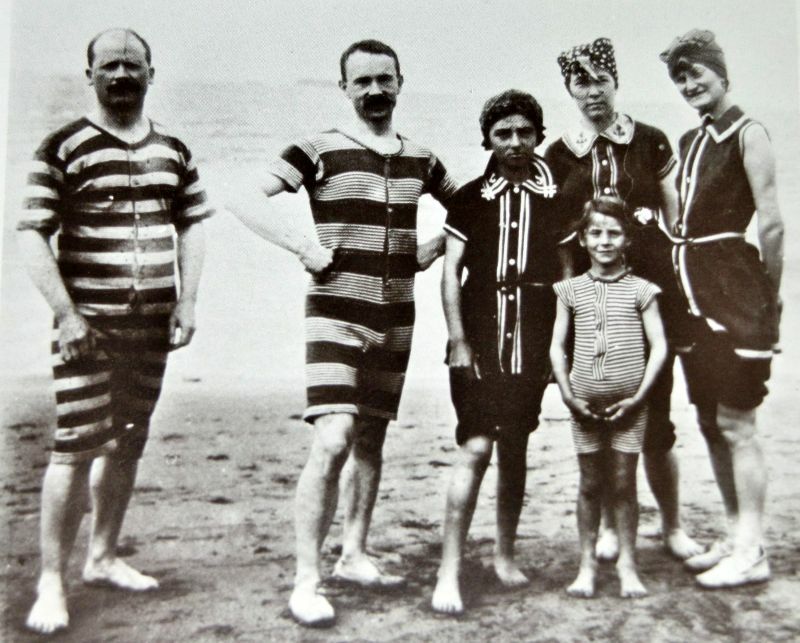 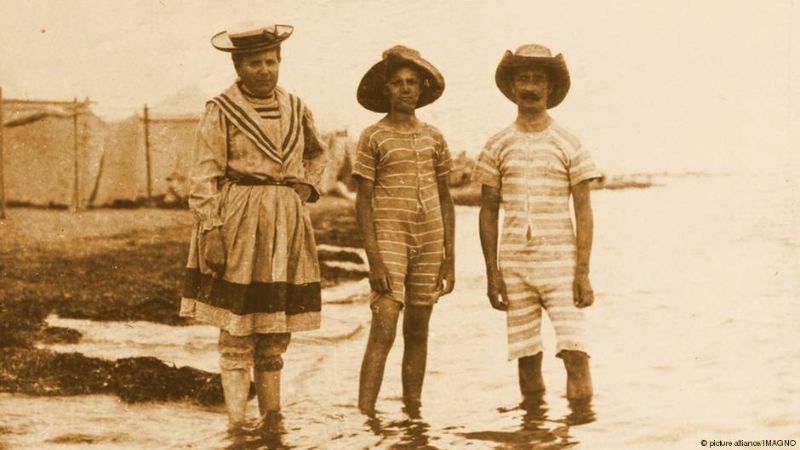 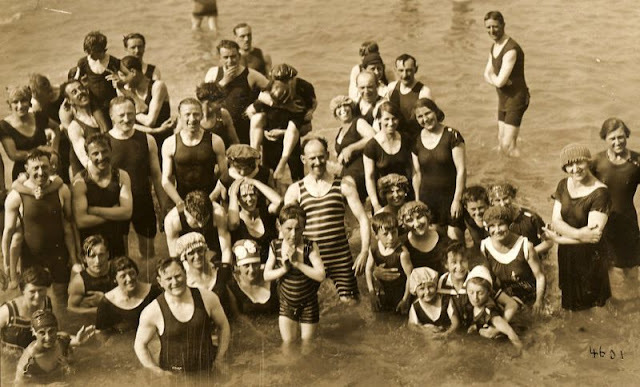 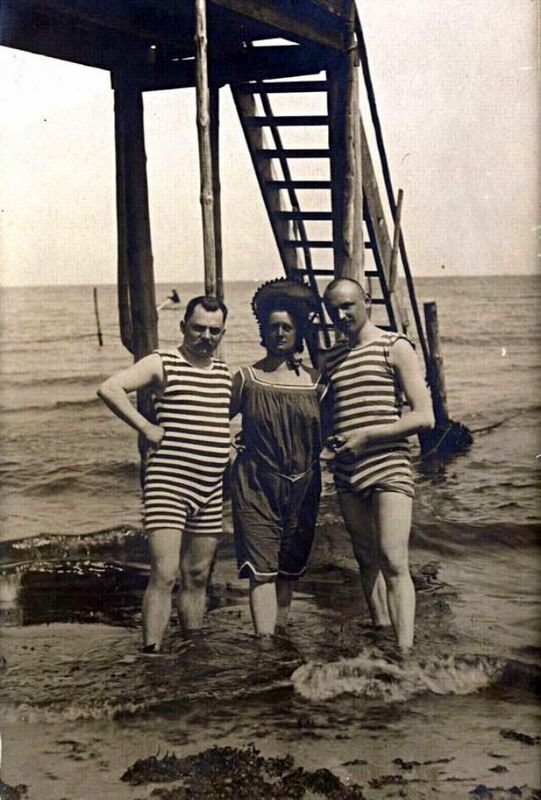 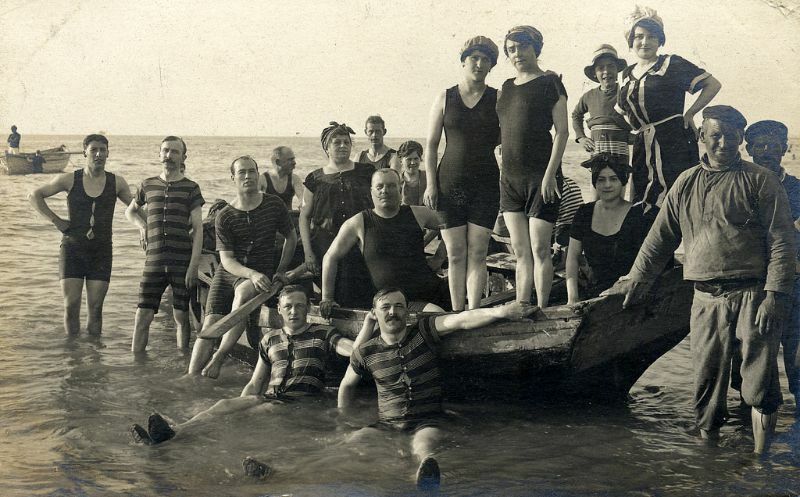 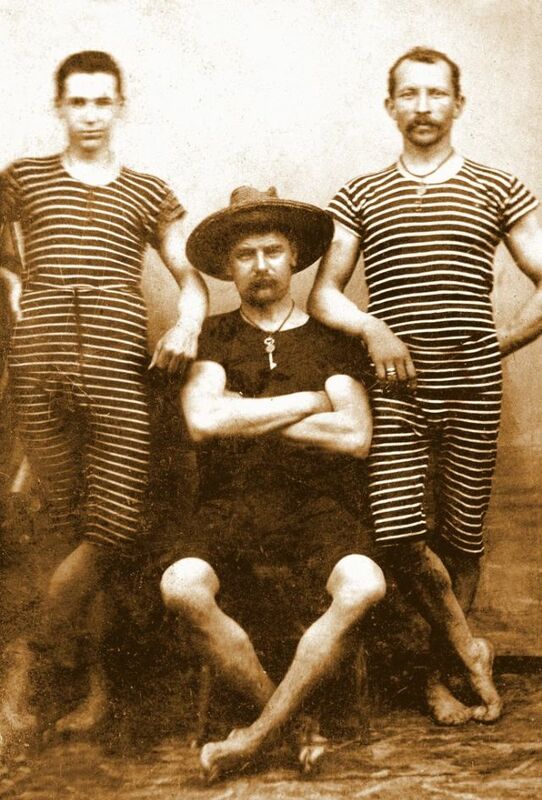 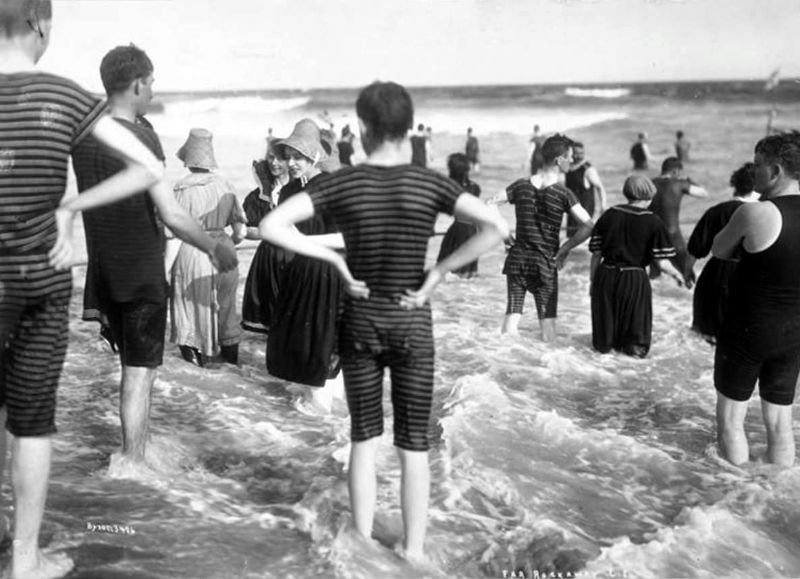 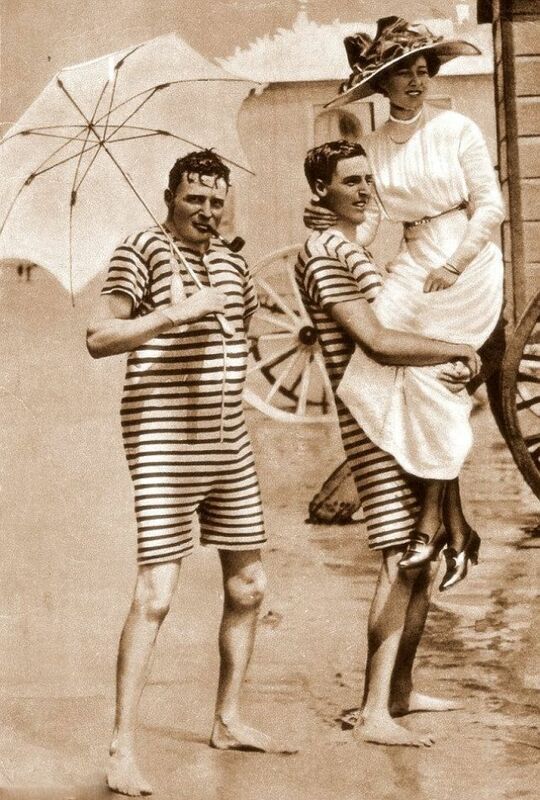 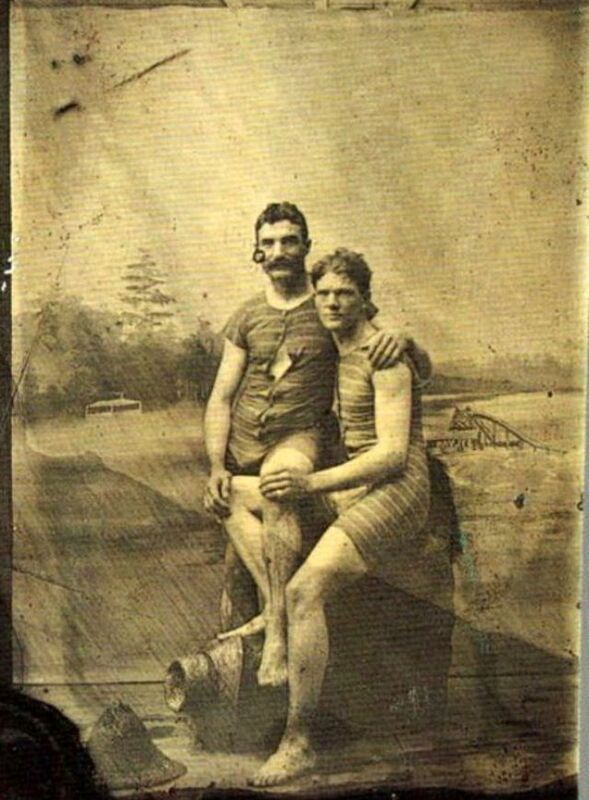 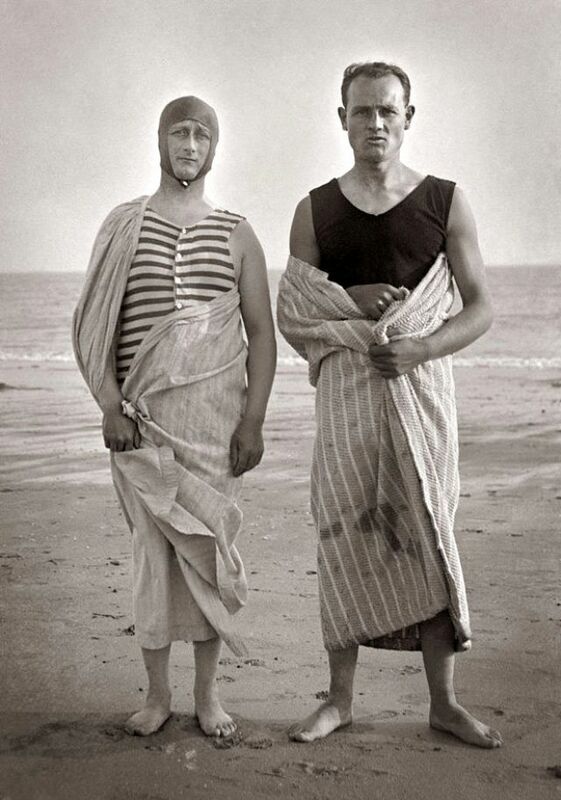 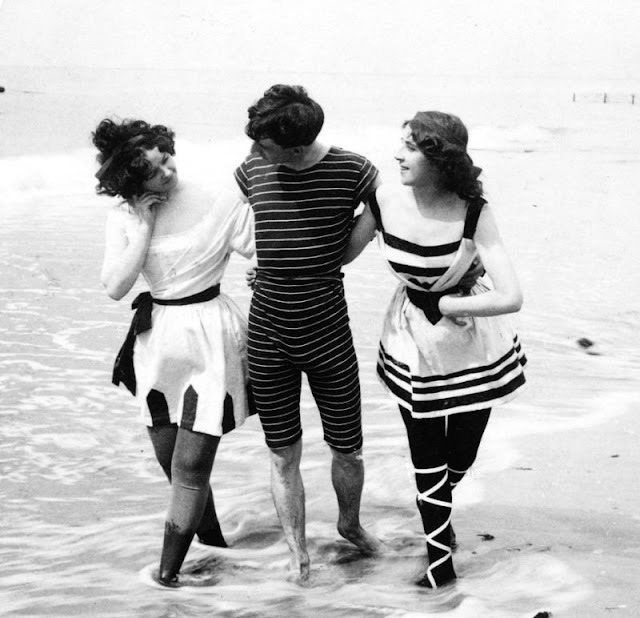 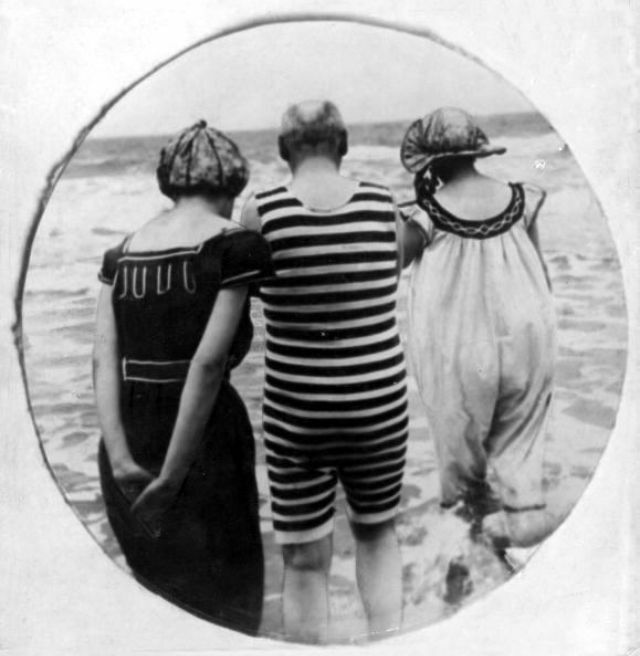 In the early 20th century, women were not the only ones to get tighter swimsuits. 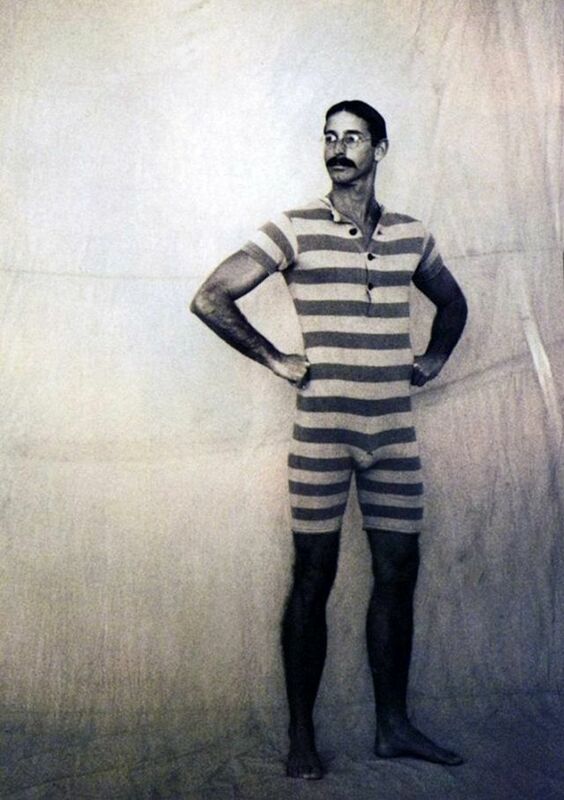 Men's swimwear also slimmed down to show off his new athletic body. 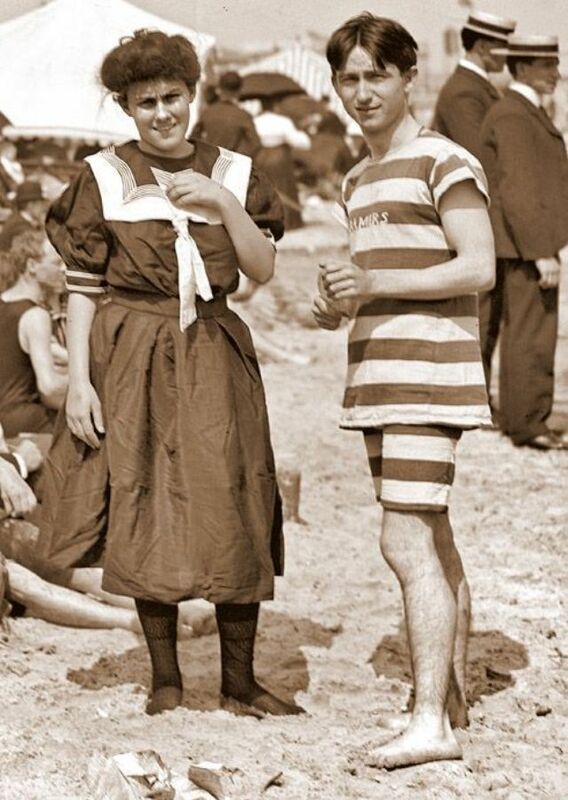 In many ways, men's and women's suits were nearly identical. 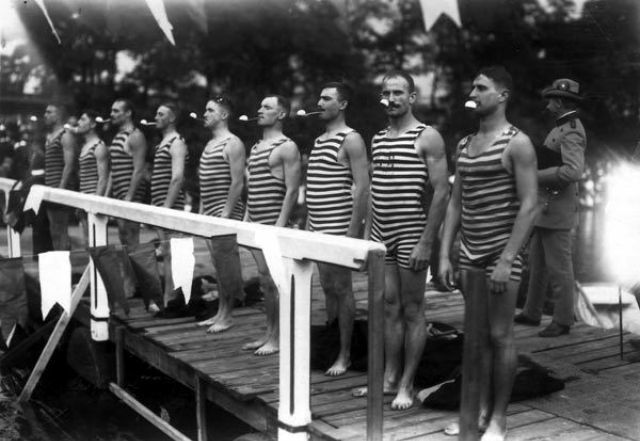 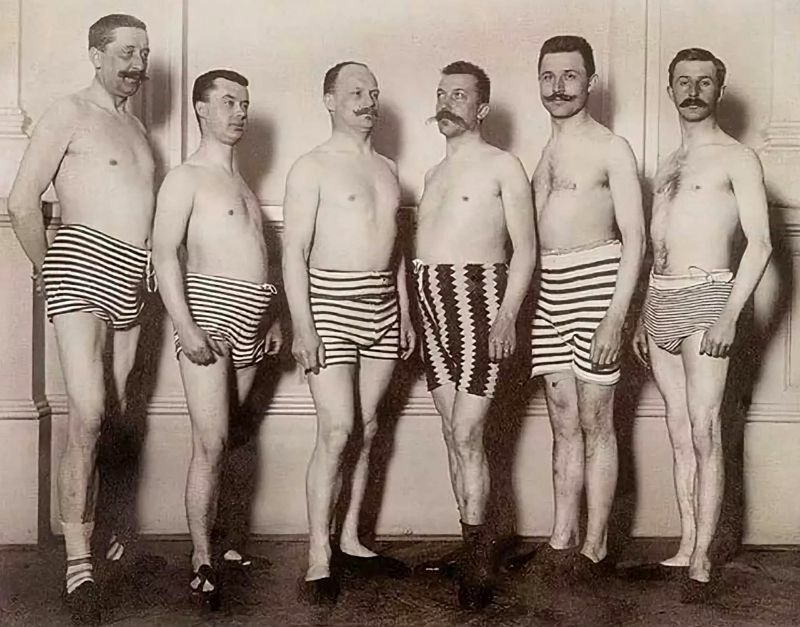 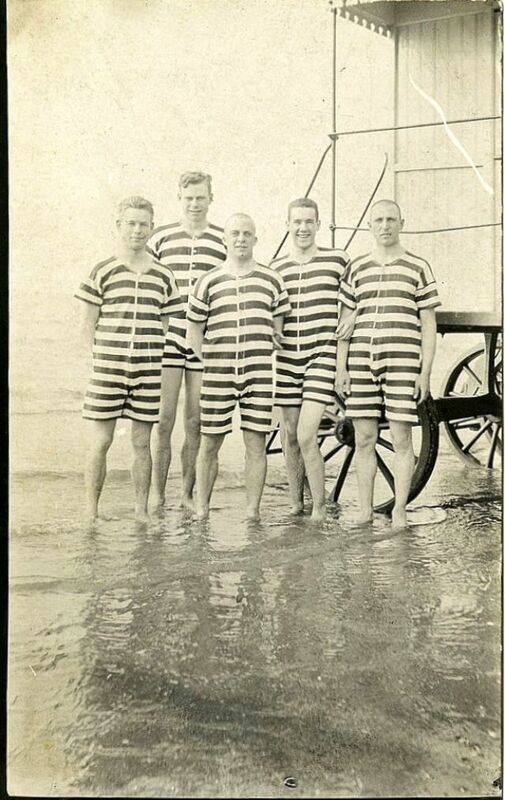 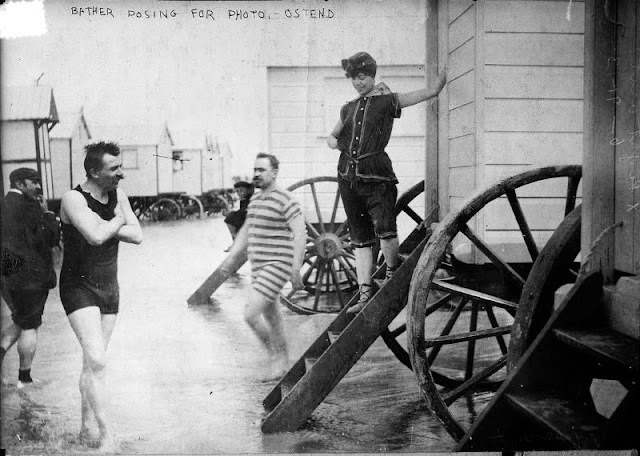 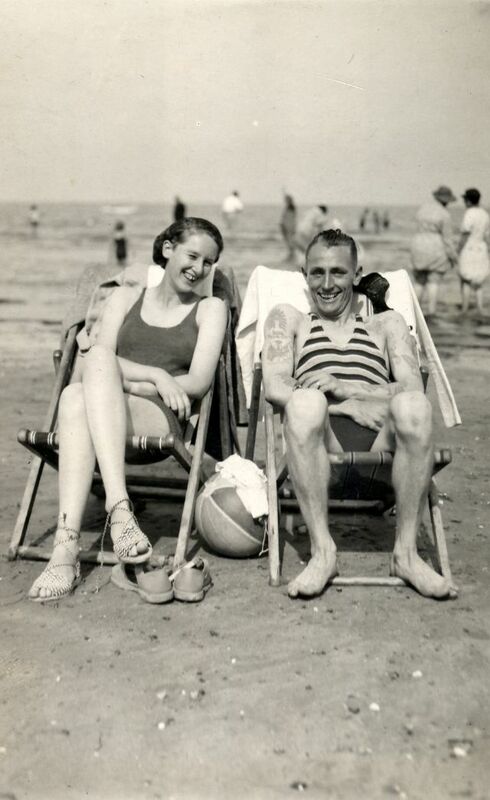 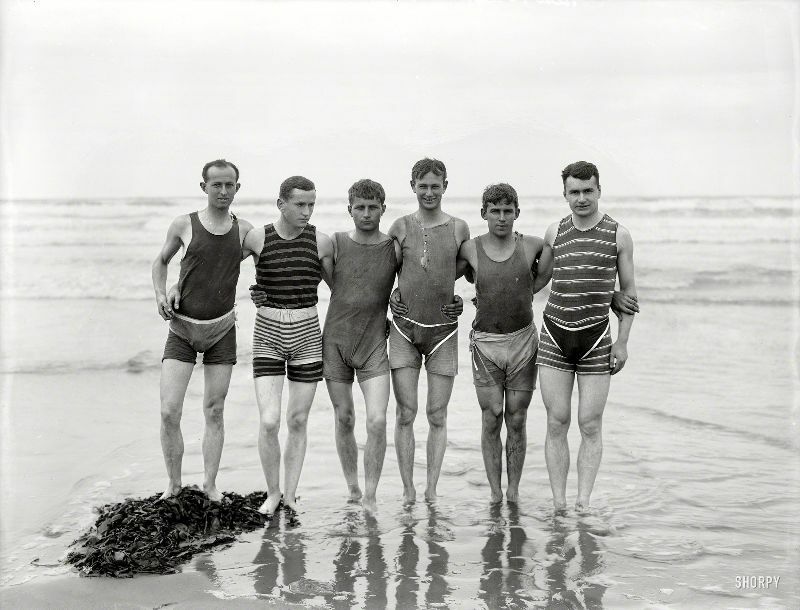 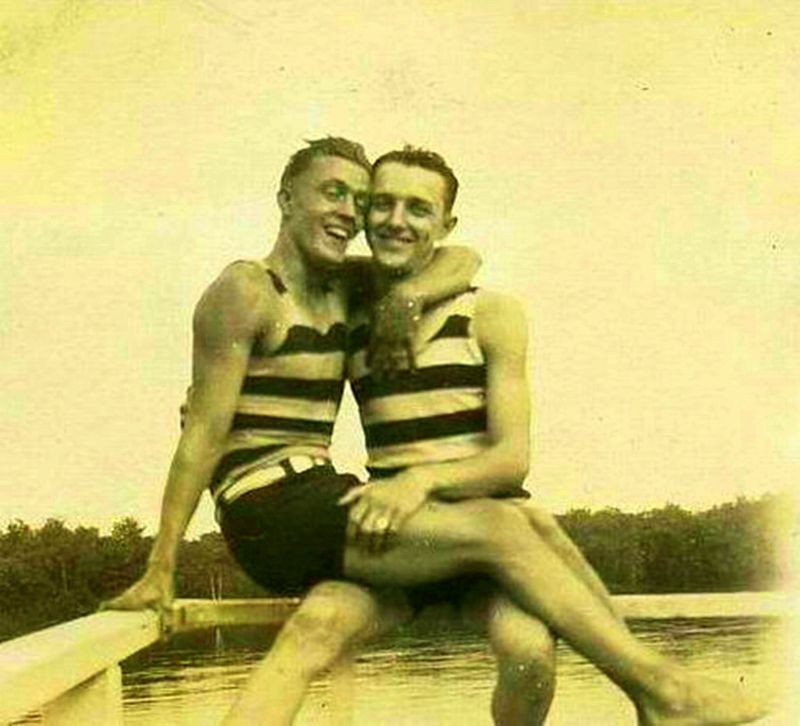 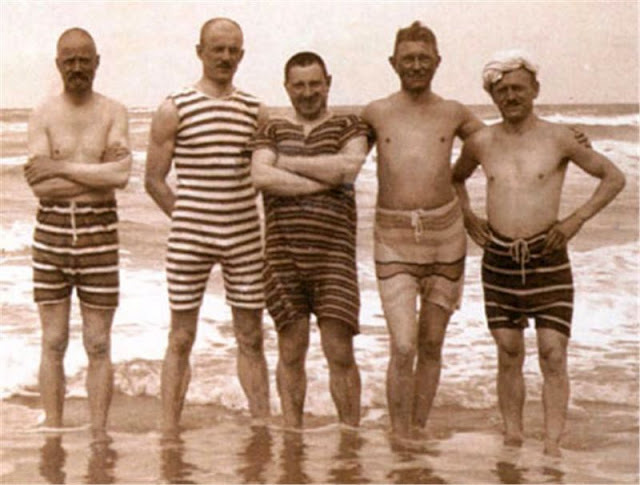 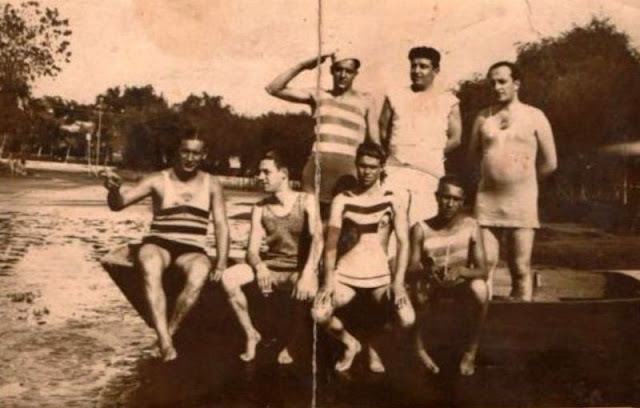 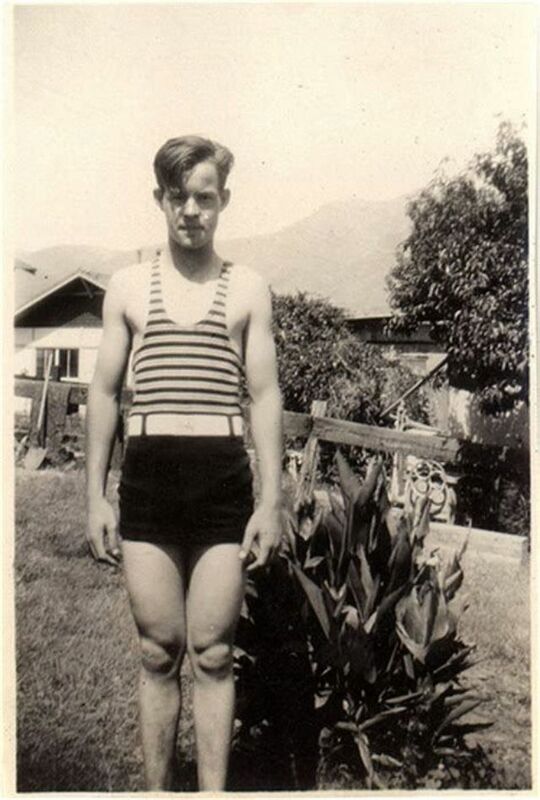 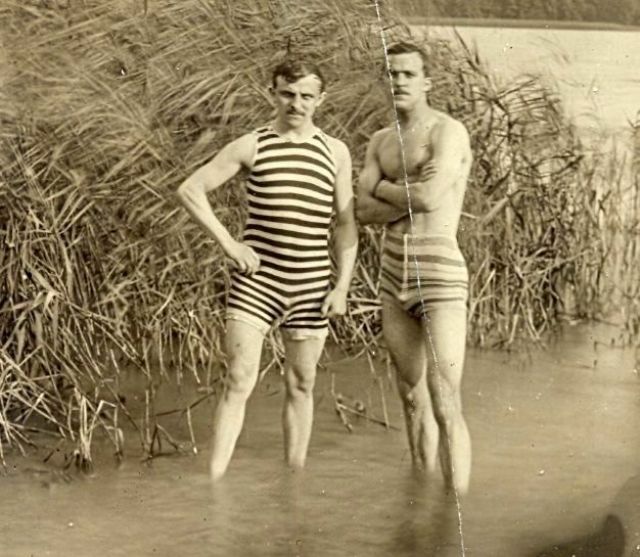 Men's swimsuit in this period was mostly a one piece tank top and shorts, and the striped ones were often their favorite choices.